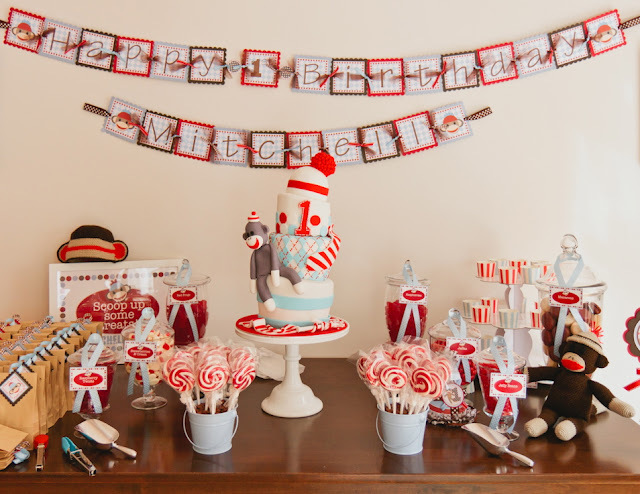 For some of my readers who may not be aware, in addition to a little bit of blogging and my mummy duties, I also operate a little Event Hire, Styling and Candy Buffet business under the Utterly Organised banner. If you'd like to know a bit more about it you can find further information right here and follow my event based adventures and inspiration on my other Facebook page too if you'd like! I am a work at home Mum and I just LOVE it and thoroughly enjoy the interaction with so many different clients and working on so many different events - from 1st, 21st, 30th and 50th birthday parties, to engagements and weddings and even some Corporate events in the mix too! Things have been really busy of late, and I am so fortunate to have worked on some really amazing events that I haven't had the chance to share with you! I am going to try and post up some more pictures for you here on the blog as you never know I might have a theme, design or even just an idea that you can use for yourself or for your kiddies in the future! 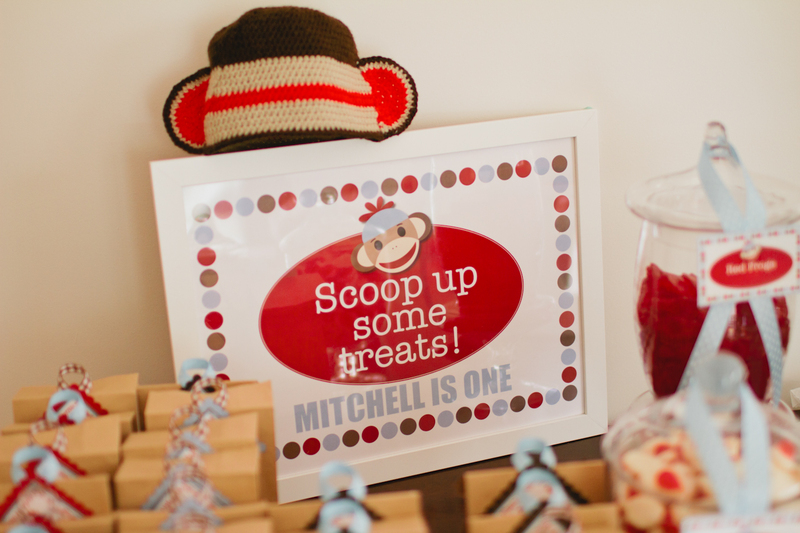 One of my recent events that I worked on was a 'Sock Monkey' themed first birthday party for a little boy. I was contacted by the mother only a few weeks out from the party and I am just thrilled with how quickly and brilliantly everything was pulled together. I have to say that I am completely blessed to be working with my partner in crime - Karen - from Be Design Solutions. 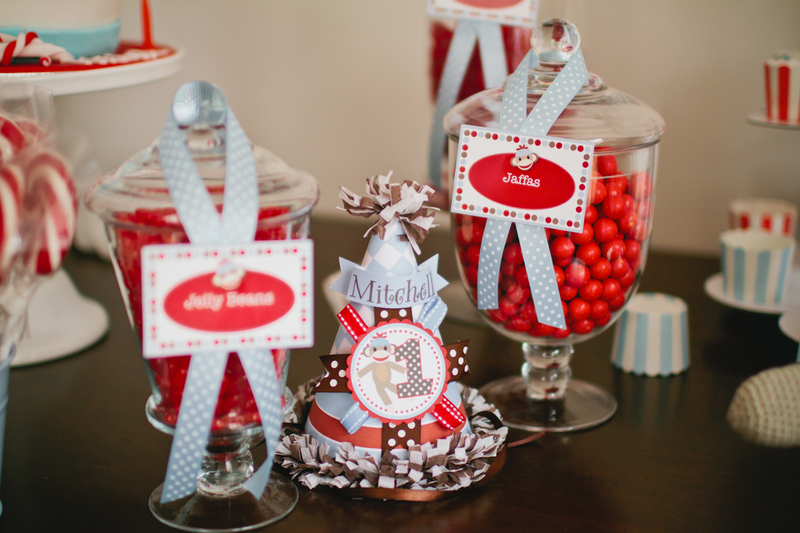 Karen is the genius that has designed the framed sign and all of the tags for the candy jars. 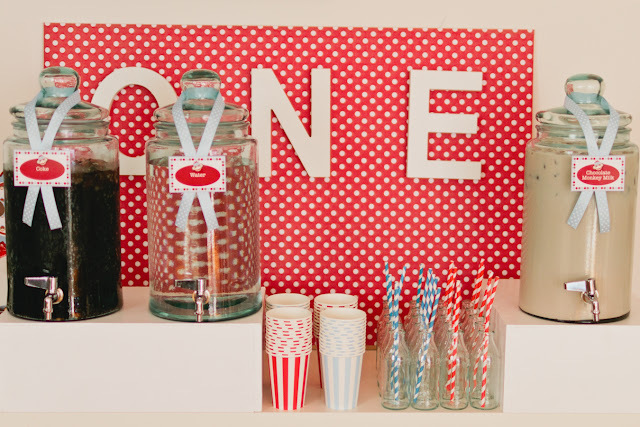 If you'd love to use this printable set for an upcoming party, then pop on over and see Karen and she now has this range in her collection with so many more printed items that you can use too. Of course if you are in Melbourne and would like to hire some items for your next event or have me help you out, please do get in contact as I would love to work with you too! I will be sure to feature more client events very soon and you can always feel free to browse any of my Facebook albums that contain many images from my events that may not make the blog. I am getting ready for 3 events this weekend as well as starting to plan a very special birthday party for Mr B in December - cannot wait! This is adorable!! I love Sock Monkeys! How fun for a first or even 2nd birthday! Found you at Delightful Order. Have a blessed weekend! Gorgeous! I have the same water dispenser but have never thought of getting another especially to use it for Choc Milk! How did you make the rise for it? I find i have to hang ours over our bar.